Lip balm is kind of a big deal at my home. I usually have one next to the bedside, one on the dresser, one in the “catch everything” kitchen drawer, one in the office drawer, and that’s not to mention the one in the bathroom and my purse. 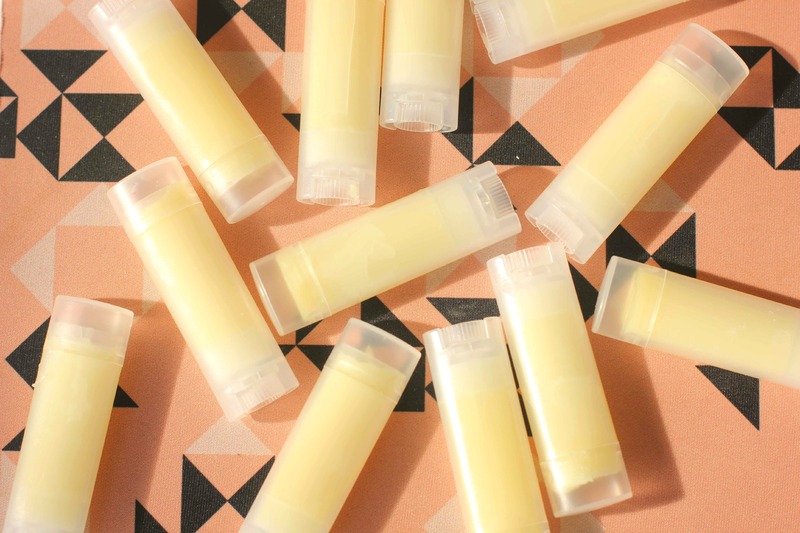 Lip balm is serious business and as much as I like the coloured tints and fancy root beer smells, my favourite is always a simple mix of natural products that soothes and moistures my dry lips. Once you gathered up your ingredients, it’s as easy as bi! bam! bap! 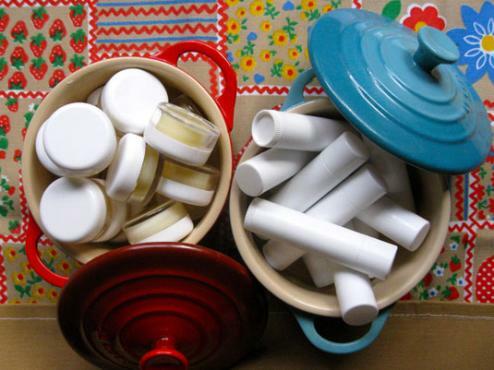 This recipe makes 24 tubes. You can easily cut the recipe in half or make some for gifts! 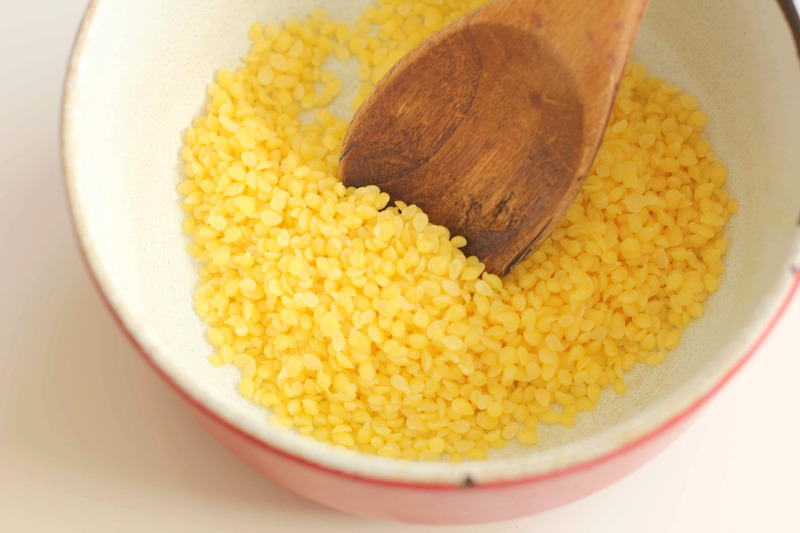 Set stove as low as possible and start melting the beeswax. Do the same with the shea and cocoa butter in the same pot. Once liquidfied, add the almond oil and pour the mixture into the containers (I used a ladle, but I have poured it in directly using the spout from the pot). Let cool and solidfy! 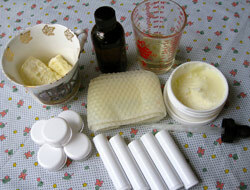 Store-bought balms often contain petrochemicals, salicylic acid (which dries lips and has several potential health implications), silicone oil (which locks out moisture) and other additives, such as phenol (which though banned in Canada may still be found in lip balms, and pesticides, originating Stateside). While there are several brands recommended by the Cosmetic Safety Database for having no or low health impacts, you can also make your own! It’s a fun project and offers a great way to control what exactly you put on (and in) your body. Plus, it’s easy! 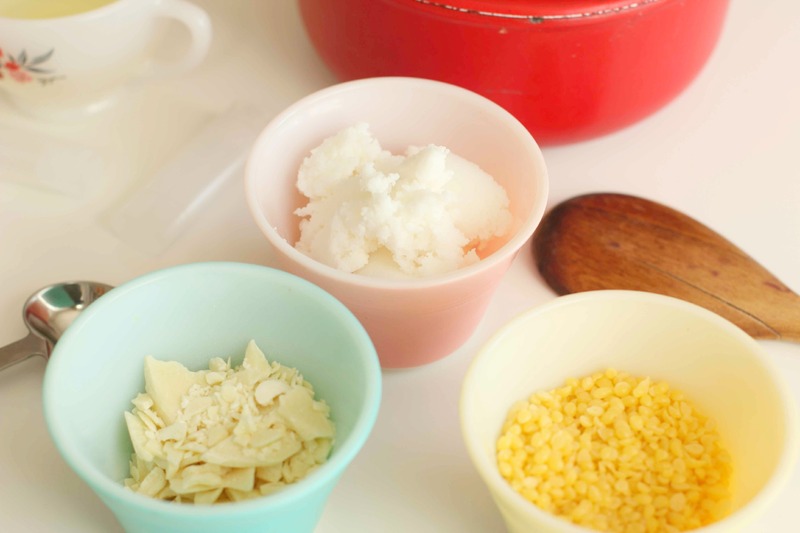 In this recipe, we use cocoa and shea butter, to soothe and condition, as well as beeswax, which forms a barrier to keep the moisture in and provides the balm with staying power. You can also add avocado or red raspberry oil for a natural sunscreen. 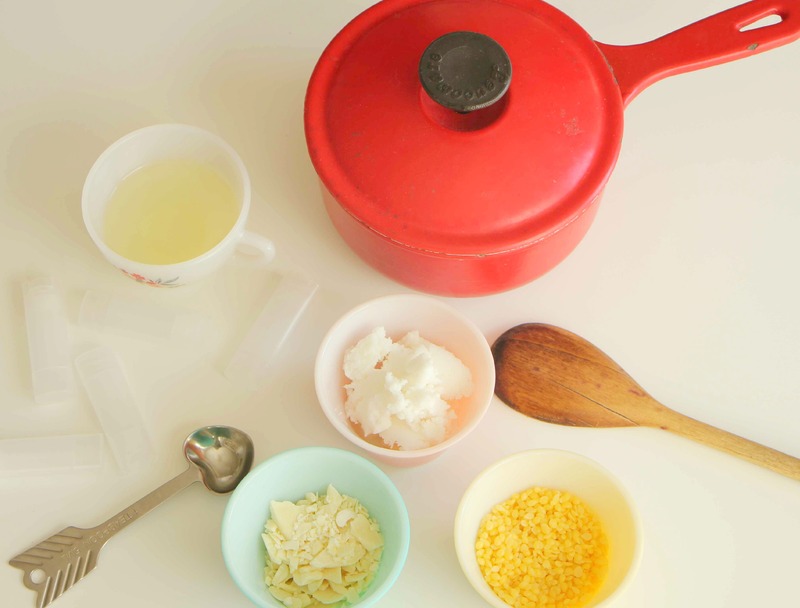 Place all your ingredients together in a pot on the stove or in a Pyrex container inside a sauce pan with about an inch of water in it, heating slowly. Pour into containers and let cool. Originally posted on Granville Online March 24, 2010.